Thanks, Mail Carrier | Save on Dinner and a Movie with Specials by Restaurant.com! 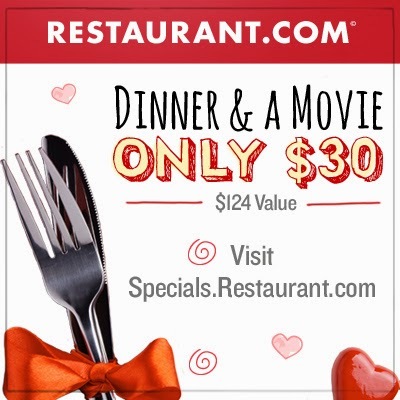 Save on Dinner and a Movie with Specials by Restaurant.com! Whether you're celebrating with loved ones or just looking for a night out, why not save over $90 while you're enjoying dinner and a movie? Not possible, you say? Then you haven't checked out Specials by Restaurant.com! While you surely know that Restaurant.com offers gift certificates providing a savings at more than 18,000 restaurants with more than 45,000 daily printable options, did you know that Specials by Restaurant.com has a wide variety of package deals that can save you even more? Perfect for Valentine's Day, today's special includes two movie tickets and a $100 Restaurant.com eGift Card... for only $30! Yes, you read that right! 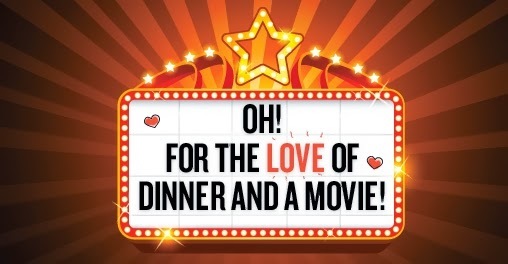 With this exclusive Specials by Restaurant.com deal, you'll receive two movie tickets to use at one of your favorite movie theaters (find your local theater here), along with a $100 Restaurant.com eGift Card all for just $30! You'll love the great deal of choices ranging from a heart-warming feature such as Winter's Tale, an action-packed reboot like RoboCop, a star-studded drama in The Monuments Men or the all new 3D Lego Movie. i love the deals they have and try to use them as much as possible. There are so many restrictions on when & where you can use Restaurant.com certificates that I gave up on using them.